A familiar face is coming to Supergirl. TVLine reports Smallville star Mark Gibbon has joined season two of the CW TV show. The superhero drama revolves around Superman’s cousin, Kara Zor-El (Melissa Benoist), who is enlisted by a super-secret agency to help protect the citizens of Earth from evil forces. The cast also includes Mehcad Brooks, Chyler Leigh, Jeremy Jordan, David Harewood, Floriana Lima, and Chris Wood. Gibbon will play the ultimate Superman villain, General Zod, in an upcoming episode (and possibly more) of Supergirl. 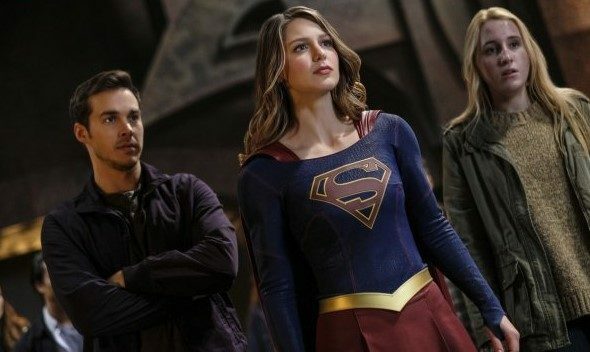 The CW has not released any further details. What do you think? Are you a fan of Supergirl? Are you excited to see General Zod?